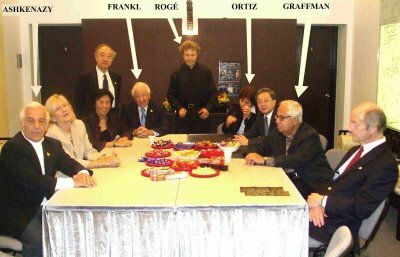 A star-studded piano competition jury. See how many names you can identify. Could you briefly relate to us the Herculian tasks of running a competition? Running a competition is indeed a very demanding job which is made easier when we can count on an exceptional panel of Jury members (above), and by having strong commitment to make Hong Kong a centre of excellence in the musical world. We have one of the best competitions in the world despite having a run of just three editions. The 4th Hong Kong International Piano Competition will take place in October 2014. The trust deposited in us by the sponsors is a source of strength for us, given that running a competition is a very expensive proposition. It is true that many times one feels that pushing the Competition through is simply the result of sheer force of will nurtured by the belief in what we are pursuing, and what we are trying to achieve. It is a great performance by everybody involved. An informal pose by the three 1st Prizewinners of the Hong Kong International Piano Competition: (From left) Giuseppe Andaloro (2011), Ilya Rashkovskiy (2005) and Jinsang Lee (2008). 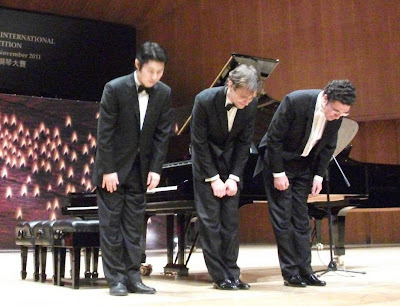 There have been three competitions so far, bringing to the fore wonderful pianistic talents such as Ilya Rashkovskiy, Jinsang Lee and Giuseppe Andaloro. They are also being promoted in the annual The Joy of Music Festival held each October in Hong Kong. How do you see their careers developing post-competition? The career of a performing artist is definitely not an easy one. There are so many new artists continuously arriving into the performing arena. To be able to say who will succeed in this very competitive world is extremely difficult. Many times, it is not only a matter of being specially gifted (essential for an artist) but also a matter of being well taught and having the opportunities to be invited to perform around the world. There are many pressures exerted on these budding artists to which, justly or unjustly, many will succumb. Winning a competition gives the artists a card of credibility, a card that is being signed (and backed up) by a group of exceptional musicians (the members of the Jury), and this is of great help to the artists who hope to perform in front of audiences around the world. Of course, it is the approval of the audiences which is, in the long term, going to determine whether an artist is going to survive or not as a performer. The Joy of Music Festival essentially sees three separate lines of musical activities – the Winners Series of piano recitals, the Highly Recommended Series of concerts, and the Master Teacher Series of masterclasses – coalesced into one event-packed week. How lucky Hong Kong is to have such dedication to music and culture! Organising a music festival creates the opportunity for several artists to be in Hong Kong at the same time. They not only give solo performances, but also perform together, in different combinations of chamber music. Many of the artists get to know each other during the Festival and they develop friendships that can greatly help them in what is essentially a very lonely profession. It would be very difficult and expensive to achieve that if we were to invite artists separately at different times of the year. A festival also creates a different atmosphere, a different attraction for the audiences. A friendly breakfast meeting held at Tom Lee (Megabox) with Gary Graffman and Malaysian child prodigy pianist Tengku Irfan in attendance. You also have those Breakfast Meetings with illustrious guest speakers and much intellectual discourse. This has evolved to become the series of talks about music by the eminent writer and broadcaster Jeremy Siepmann. How do you intend to develop this thread further? We have invited Jeremy Siepmann (below) to be a regular fixture in The Joy of Music Festivals. He is an artist with a vast knowledge of music in the broadest sense of the word. His enormous experience is in communicating the essence of music to make its component parts comprehensible, and then reconstructing these parts so that the wider picture of music becomes greater than the sum of its parts. When listening to music under his guidance, one feels something “clicking together”, which otherwise would have been missed altogether. Make no mistake, he does not teach you to like or dislike a piece of music or the way it is performed. Instead he helps you to understand, to sharpen your senses, to be more aware, when you listen to a piece of music being performed. One does not need to know music to enjoy a performance or listening to a recording, but one can definitely learn to listen to music differently, with new ears. When Jeremy Siepmann speaks, people listen. One would imagine that sponsorship plays a massive part in order for the Competition, Festival and other activities to take place. How does the Society undertake and manage its fundraising? We depend completely on our sponsors to present our activities. As I said before, the trust deposited on the Chopin Society of Hong Kong to present events of a very high cultural and educational value, have contributed to making Hong Kong a centre of artistic excellence in Asia and the world. You are busy with work as the honorary consul of Uruguay in Hong Kong and Macao, while Andrew travels the world as investment advisor for BNP Paribas Wealth Management. How do the both of you find time for the Society and everything else? Hong Kong is a place where YOU CAN. Of course, this does not come easily but somehow, efforts are, in general, rewarded. This is an enormous incentive when you set your sights to try to achieve something big. Having lived in places which I refer to as “You Cannot” places, it is a great relief to be part of a society which trusts that efforts are rewarded, and one is able to push forward to achieve whatever goals one sets to achieve. Once you believe in something, just grab that belief very tightly and run. You will be amazed to realise how much you are able to stand and to push. Sometimes you cannot get it, but you feel you want to try, and you feel prouder to have tried. 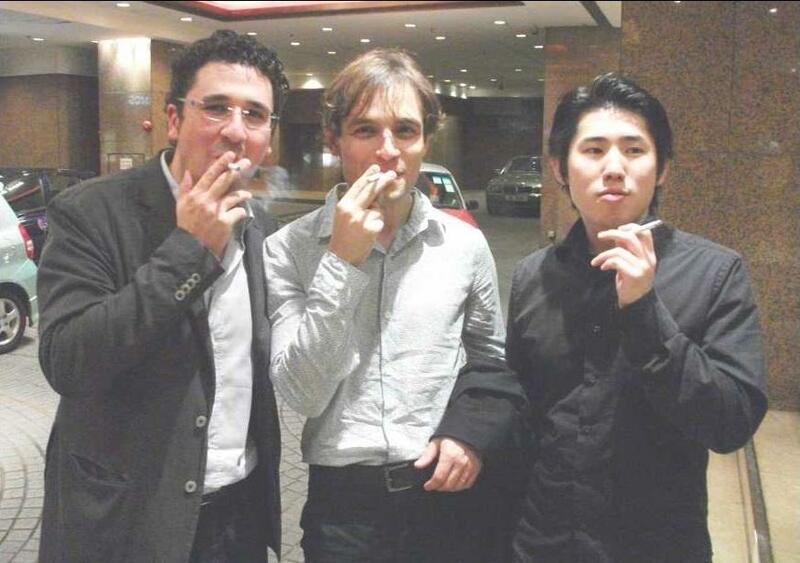 Hong Kong presents to the world three top pianists from Korea, Russian and Italy. 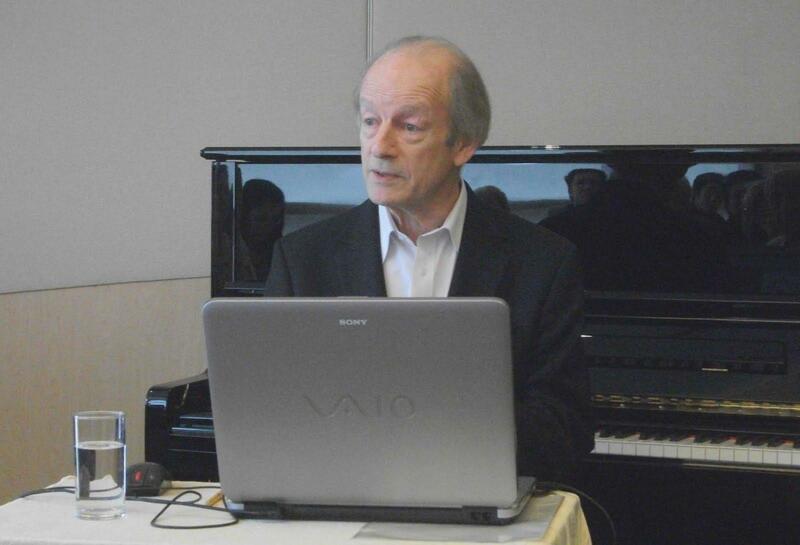 What does the future hold for the Chopin Society of Hong Kong? We hope the Chopin Society of Hong Kong will be a source of pride for the citizens of Hong Kong and a source of friendship, inspiration and help for all artists no matter where they come from.